A. Lassig: New Zealand Fashion Design. Retail NZ$120. A sense of pride is what this book gives you. 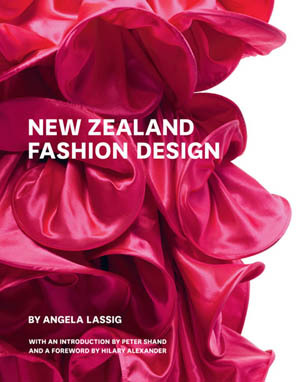 New Zealand sits at the edge of the world geographically, but not in fashion, as Angela Lassig’s 532 pp. New Zealand Fashion Design showcases the country’s fast-moving and creative design landscape from the last three decades. Lassig was Senior Curator, History, at the Museum of New Zealand Te Papa Tongarewa, and recently moved to Auckland with her husband (see Lucire interview). She is currently pursuing her master’s, specializing in fashion and textiles, and has put together a collection of New Zealand designers from the point of view of a curator, and not a journalist. Twenty-five New Zealanders have been profiled, from Marilyn Sainty and Zambesi to World and Karen Walker, with over five hundred superb colour catwalk and editorial photographs. There is a wide breadth of information. Designers were interviewed by Lassig, who read over their profiles many times, reflecting on their careers and lives to make it as accurate as possible. What makes this book unique are the garments photographed in the designer’s workshops, serving as a visual timeline of that designer’s diverse career. Garments, advertisements, invitations, fashion editorials and other ephemera from the designers’ archives helped represent their collections and significant moments in their careers. The book gives a detailed chronological and descriptive narrative on the Kiwi fashion design history. This is an exceptional book on fashion, and can keep one’s attention for hours turning through the pages, looking and reading about the rich culture of New Zealand fashion. Each designer is profiled with their backgrounds, inspiration, work ethics and philosophy, giving you a peephole into the designer’s world and a behind-the-scenes look into the struggles they overcame. This piece of art won’t gather dust on your bookshelf or coffee-table as any aspiring designer, fashion lover or collector won’t be able to keep their hands off it. As goes the trend for Hollywood, we first see people appear in one discipline, and then, suddenly, they are in another. Whether you are an aspiring designer, fashion guru or simply watch Project Runway for the entertainment, we have all heard of it and watched it. As one of the judges, Nina Garcia is a fashion journalist and critic who has held posts at Elle and is currently at Marie Claire. She knows what’s in and what is a fashion disaster. 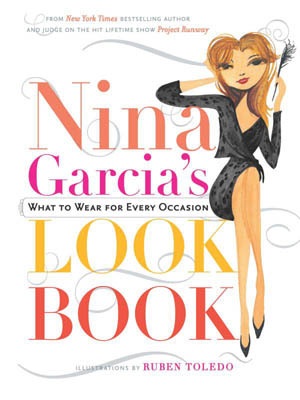 Her 2010 release of Nina Garcia’s Look Book: What to Wear for Every Occasion is the most recent in a line of books on fashion and style. It might be a common question to hear any woman concerned with her appearance ask, ‘I don’t know what to wear,’ ‘Do I look good in this?’ or ‘Is it appropriate?’ We now have the answers to these questions in Garcia’s book. This is a book for women of any culture, style, age or shape, giving us successful and practical fashion advice. Garcia has given advice on any important event in a woman’s life, from job interviews, boyfriend break-ups and parent–teacher meetings—anything you could think of. She writes in a style which is easy to read; you can almost hear her voice coming off the page to speak to you. As the reader, I could tell that she is really passionate about women, what women wear and making women feel chic and confident. She encourages you to use this book as a guide and reference rather than a rule-book. Garcia is constantly reminding the reader to make their own style individual and not fade into the background. Even when you are heartbroken, her advice can turn you into a heartbreaker. Garcia goes beyond the assumptions you have about her book on only offering advice on clothing. She goes the whole way, wanting women to look their best at all points in their life. Pick out the perfect bag, colour combinations, accessories and hairstyles: she is concerned with the whole image and what that image tells people about you. After I read this book I started to notice what people were trying to communicate by their clothing. What were they saying about themselves? Who could they be? It made me more aware of what people were trying to tell me subliminally through their clothes. Whether you are a fashion student, fashion editor or merely for someone who needs a little help every now and again, this is for you. I would recommend it to any of my friends, even my mother. It’s one of those books I would keep on my dresser next to my wardrobe as a guide, serving as a reminder to think about what I am wearing for today, and to look chic and individual. Also look out for her new book The Style Strategy: a Less Is More Approach to Staying Chic and Shopping Smart. Each season we see a different aspect of a designer. We see their final product after they have rehashed ideas and squeezed all the juice out of their inspirations. Have you ever wondered how they live? Have you imagined what their houses look like? The coffee-table release of American Designers at Home gives us snapshots from the inside of their homes. Put together by the Council of Fashion Designers of America (CDFA), we can see where our favourite fashion designers go home at night to relax and live their lives. ‘This is the ultimate voyeuristic journey,’ Rima Suqi, the book’s author, told WWD, as we finally get a look into their homes instead of the catwalk. Suqi goes on to say that many designers have had help or have been trained in either interior design or architecture. There are interesting anecdotes to go with each designer, such as how long it had taken to renovate their homes. Vanessa Noel took first place with seven years.